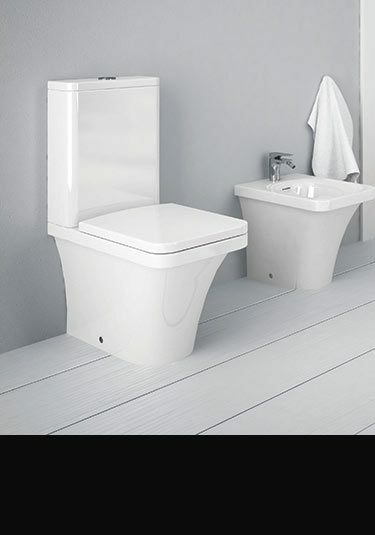 A lovely designer bathroom suite collection of sanitartware that is one of the latest contemporary Italian designs. 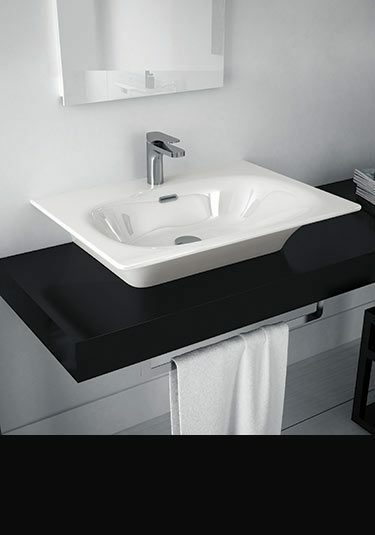 Available within this contemporary suite range are wall hung wash basins, pedestal sinks, counter top basins plus a full ceramic washstand and a frrestanding wash basin. In toilets we offer wall hung and back to wall toilets with matching bidets. These luxury bathroom suites are all available in a standard gloss white finish or for latest designer finish of black and white for an exclusive bathroom design. This inset wash basin is counter sunk into the bathroom work top to good effect. 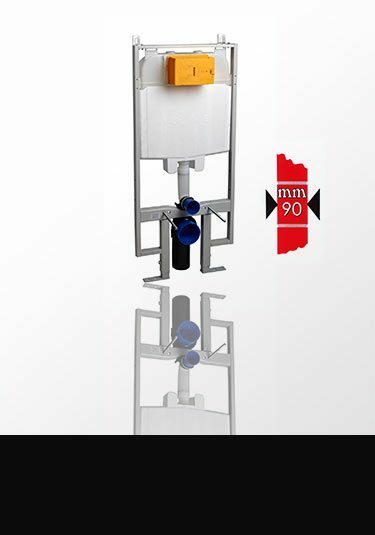 This latest design is designed and manufactured in Europe ensuring quality. 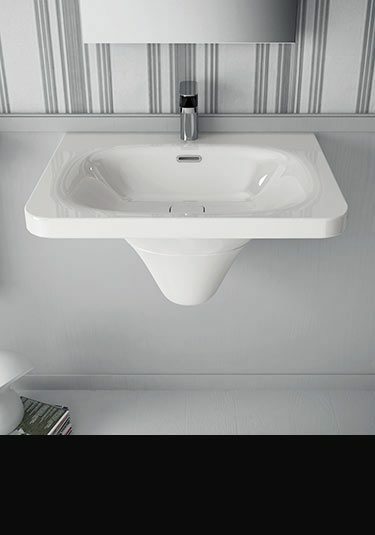 This highly attractive wash basin with a beautiful flowing pedestal is a brand new designer sink. Designed and manufactured in Europe. 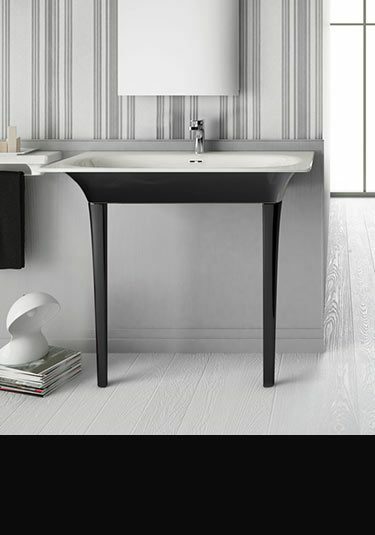 A latest European design, this highly contemporary ceramic washstand brings a classical design influence to designer bathrooms. 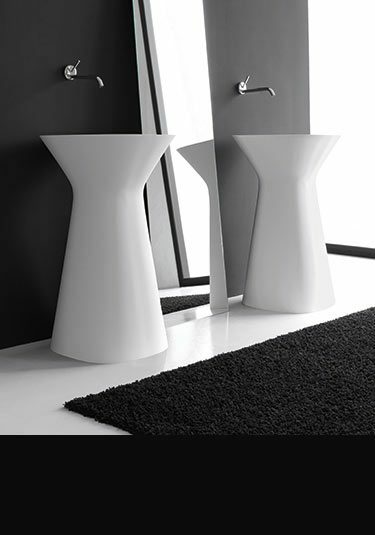 Impressive floor standing wash basin is a luxury design choice for contemporary bathrooms. 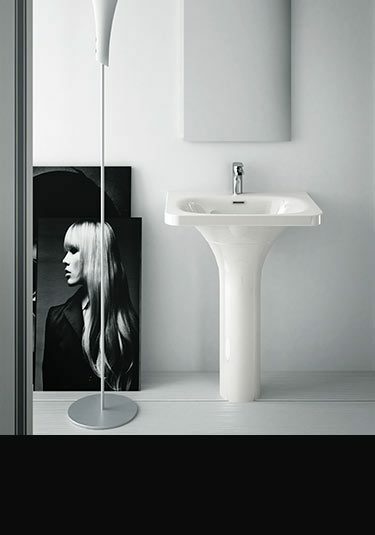 This freestanding ceramic basin has been designed and manufactured in Europe. 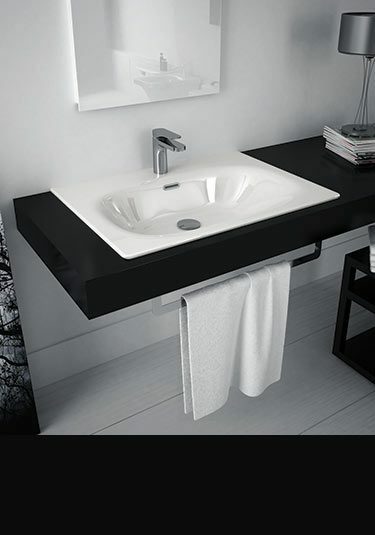 A fluted design this wash basin can be counter top mounted or wall hung, with the option for a black and white version. Designed and manufactured in Europe. 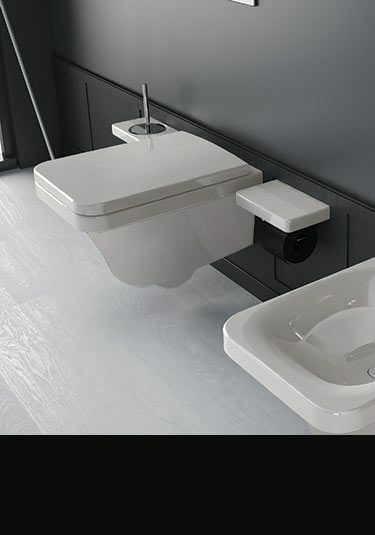 Available as a white or black and white ceramic basin, this wall mounted sink has a semi pedestal to hide the waste and pipework. 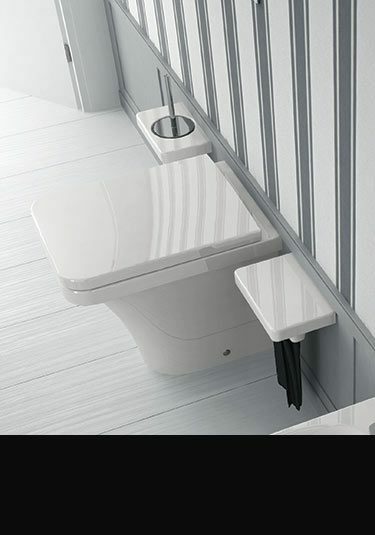 A designer wall hung toilet with a soft closing seat is a new European design. Shown in white ceramic but also available in black and white. Latest designer back to wall toilet styled and manufactured in Italy. Each toilet is contemporary in design and supplied with an impressive soft closing seat. Also matching bidet available. Latest European bathroom design, this quality toilet with a slim back to wall cistern is a luxury choice for designer bathrooms.